The Broke and the Bookish : Top Ten Books on Daisy's Fall TBR List! Guys, it's that time again: the time to get excited about the books you'll be reading next season! And more particularly: what books you're most excited about that have made it on your Fall TBR list! 1. 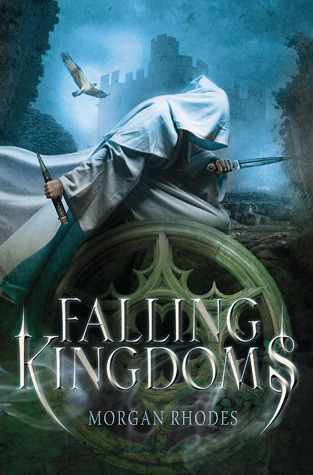 Falling Kingdoms by Morgan Rhodes: It sounds like EPIC fantasy!! And I love me some of that :) Also, I have some serious cover love going on for this one, it's just gorgeous! 2. Sacrifice by Cayla Kluver: Guys, I LOVED the first two books in the series, Legacy and Allegiance and I cannot wait to see what happens next! I'm kinda hoping for a happy ending. The characters have grown so much already, it's just wonderful. 3. Black City by Elizabeth Richards: It's a post-apocalyptic lovestory with what sounds like paranormal elements and I am down for that ANY TIME. 4. A Notorious Countess Confesses by Julie Anne Long: Yay historical romance! The seventh book in the Pennyroyal Green series, I loved both the 5th and 6th book. Julie Anne Long makes me cry and I love it! 6. Eve and Adam by Katherine Applegate: I have been a bit hesitant about dystopian novels lately, but this one sounds like a winner! 7. Venom by Fiona Paul: SECRET SOCIETIES!! In VENICE! How could I not highly anticipate this release?? 8. Crewel by Gennifer Albin: I've heard nothing but good things from people who have already read it! It sounds like just my kind of book! 9. Valkyrie Rising by Ingrid Paulson: A girl who discovers she has a place among ancient mythological warriors. Uhm, HELL YES! 10. 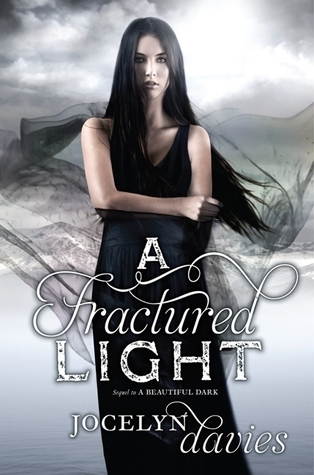 A Fractured Light by Jocelyn Davies: I REALLY liked A Beautiful Dark and the cliffhanger ending left me going NOOOOO! So yes, I would kind of like this book to be here soon, pretty please? Honorable mentions go to The Darkest Minds by Alexandra Bracken, Mystic City by Theo Lawrence and Breathe by Sarah Crossan. So that's my list, what about you? Any we share? Books I missed that should have made the list? Me too! There are always so many amazing sounding new releases! Great list Daisy! I agree, the cover for Falling Kingdoms looks amazing! Falling Kingdoms & Eve and Adam are on my fall wishlist! I love visiting different worlds. Me too :) I love how books can transport you to a place you never new existed before! And I love that in fantasy anything is possible! Great Top Ten Daisy! I can't wait for Sacrifice, though I still need to read Allegiance. I hadn't heard of a couple of these so I will definitely be checking more into those. =)This is my first time taking part in TTT & it was hard narrowing it down to just 10! Hope you had fun your first time participating! Great list! I'm about to start reading A Beautiful Dark :) There are a few there that weren't on my list, but I'm definitely looking forward to! We have several of the same books! I'm also looking forward to Falling Kingdoms, although I didn't put that one on my list. (I was doing the "Fall" thing literally, so stayed away from December releases.) And I can't believe I forgot about Venom! That's one I've been wanting to read for ages. Yay for Falling Kingdoms and Venom! I'm so excited for both of those! I've heard that Crewel is great, as well. I've been meaning to read A Beautiful Dark. Maybe I'll pick it up soon! Great list! You've reminded me of a few that didn't make my list - Falling Kingdoms and Crewel. Both look fantastic! Thanks! :) Yay for discovering new books! Eve and Adam is on my list, I love Katherine Applegate and Michael Grant. The others I am going to have to look into more! Sacrifice made it onto my list as well. I am soooooo excited for that book!!! Eve and Adam almost made it onto my list as well. ME TOO!! I was in such a reading slump and then I read Allegiance and it was SO GOOD! I'm also looking forward to Falling Kingdoms and Valkyrie Rising! Both sound epic! Ooooh! I haven't heard of Falling Kingdoms but I may have to check that out! These look great! I just won Eve and Adam in a giveaway and I can't wait to read it. I also have Valkyrie Rising on my list. Lucky you! :) Hope you enjoy both!! Ooh, you have excellent taste in books. I have heard of none of these and now want to read them all. Thank you :) I hope you enjoy the ones you end up reading! Thank you! And I know! There are so many ones that sound like they could be my next favourite book and I wish I could read them all RIGHT NOW! I have Venom on my list too! I am also looking forward to Falling Kingdoms, Crewel and Eve & Adam as well. There seems to be a theme among your picks! I thought about going with new releases, but realized I might as well list books I know I'm planning to read. Beautiful covers! Haha, I know ;) I was seeing the theme as well while making the list! I'm a horrible planner and if I didn't limit myself to new releases, I don't think I'd ever be able to make a list, cause there are so many books in general I want to read! I'm also really looking forward to reading Crewel. I thought it sounded amazing from the first time I read the blurb. Me too! It sounds SO GOOD! Your Fall TBR list looks awesome. I too am most excited about Falling Kingdoms. I forgot all about Venom. Great list! Beautiful covers, too! :D Happy Tuesday! Thanks! :) Hope you have a wonderful Tuesday as well! Wow, I haven't even heard of most of yours! They are intriguing, though . . . I went for "books that are actually on my TBR shelf right now, plus a few I'm waiting for from the library". And now I'm excited for fall! Thanks! Hope you enjoy both of them! I haven't heard of most of these -- which makes me happy. New recommendations! I agree, the Falling Kingdoms cover is really nice. I'm going to have to look that one up just because of the cover. Eve and Adam sounds like it could be intriguing. YES to Falling Kingdoms!! I cannot WAIT to read this one! Valkyrie Rising sounds like it could be fun! So many books to read this Fall!!!! I'm kind of embarrassed to say that I haven't heard of a single book on your list. Wow. Falling Kingdoms sounds amazing-- I have cover lust over that one as well! Eve and Adam is on my list, too; it sounds fascinating and Michael Grant is involved, so it must be good. Awesome list-- I'm having fun looking up all of these. FALLING KINGDOMS is on my list as well! Oh, SACRIFICE, yes, I have to read that as well. I have ARCs of BLACK CITY, EVE AND ADAM, and VENOM to read. I enjoyed CREWEL and hope you will as well! Ack, I still need to start this Chima series... I'd forgotten about VALKRYIE RISING. Yes! I need to read A BEAUTIFUL DARK, too -_- Great list! Do you also run your own blog, Daisy? I feel as though our tastes are very similar! So glad you enjoyed Crewel! I'm dying to read all of them! :D And the Seven Realms series is SO GOOD! I can't even begin to describe my love for those books! Yay for fantasy lovers! :D I cannot wait for that gorgeous book to be released! Great list! There are a bunch here I would like to read as well. I recently got Falling Kingdoms myself and Crewel sounds really good and different. We have a few that we both have to read hopefully this fall. It gives me warm fuzzies to see that KA Applegate is still writing! I had a gazillion of the Animorphs books. Crewel is on my list too! I may have to add Sacrifice or the first in that series--looks goooood. I really liked Legacy (the first book) and Allegiance (the second book) was even better with amazing character growth and just epic fantasy! I loved it! Hope you enjoy it as well! Interesting list! I haven't heard of most of the books on yours, but I want to look in to them. I enjoy the TBR lists, although mine has some glaring similarities to my summer TBR list. The covers of your choices are beautiful. We share a love for reading, but of different genres. Have a terrific week. I'm also excited for Black City and Crewel! Great picks, Daisy! Crewel looks super good and I'm curious about Eve & Adam, too! Oh, and Valkyrie Rising looks AWESOME!! Hope you can read all of these! Great list!!!! I can't wait to read those as well. Eve and Adam sounds really good. Hope you enjoy all of these. What a fun list to make! Awesome! I tend toward nonfiction during the school year, but I have a few fiction titles on my list for fall. None that are in the OP, but then there's nothing wrong with adding a few more to the stack. I'm an optimist. I participate in several reading groups so half of my list are books scheduled for one of them. My reading is tilted toward fiction with a surprising (to me as I prepared the list) emphasis on historical fiction. I look forward to perusing some of the many lists submitted. Oops, got here a day late! I am SO, SO excited for Sacrifice. I can't shake the feeling that it's going to be EPIC! Wow, great list! I need to look up some of these. :) I'm waiting on Valkyrie Rising too, it sounds amazing! And I still need to read A Beautiful Dark....Oops.